Read our draft proposal on third-party evaluation of mentoring in departments and institutions here! To recognize and discuss the issues surrounding mentoring in STEM fields. To provide a platform to connect like-minded young scientists who wish to effect change at their own institutions at the grassroots level. To inspire participants to practice effective mentorship practices and promote these skillsets to their peers and colleagues at their own institutions. Among the many roles that scientists play, mentoring younger scientists is one which researchers are rarely trained for. In the current STEM research environment, where lack of funding is but one of the systemic issues faced by young scientists, the roles, responsibilities, and career trajectories are changing. Organizations such as Future of Research and Rescuing Biomedical Research have been formed in recent years to address systemic issues facing academic research. Others, such as the National Mentoring Research Network, have arisen to address the training needs of those who wish to remain in academia but receive no formal training in how to supervise and mentor students. Still, there are gaps in the cultural awareness and value of being an inspiring leader, promoting a positive work environment, and in having happy, mentally fit employees. Where other industries recognize these benefits, academic culture lags. But all of these issues are intertwined, and lead to the pessimism and learned helplessness found in many young researchers regarding their careers across the nation and the world. Because system, training, and culture all intersect to provide a scientist’s well-being and productivity, Labmosphere and Future of Research are holding a conference in collaboration with UMD-College Park to discuss current mentorship practices and the way in which they could be improved upon. This whole day conference will take place at the end of National Postdoc Appreciation week (September 21st). It will consist of three speakers with break-out sessions in between the talks, as well as a mentorship panel at the end followed by discussion and a networking reception. Registration is $10 for UMD Attendees and $15 for non-UMD Attendees. Breakfast and lunch are included. UMD College Park is just off the Green Line. Please contact info@futureofresearch.org with any questions. The Mentoring Conference welcomes all participants including those with disabilities. Please contact Amanda Strausser at 301-405-6732 or astraus3@umd.edu to discuss accommodations and accessibility needed to fully participate in this event. Requests should be made as soon as possible, but at least two weeks prior to the event. All events, save for the networking reception, will be held at the University of Maryland, College Park Campus. The reception will tentatively be held at the Milkboy Arthouse, subject to confirmation from the venue. While there might not be enough time in one workshop to run through the entire training that organizations such as NRMN put on, distilling the effective practices as well as providing lists of resources that can be tapped into by those currently mentoring or looking to do so in the future will provide a useful platform for discussion. Most STEM trainees earn their education and degree in an academic environment from mentors and supervisors who have undergone the “academic” path. With the number of students seeking career pathways outside of academia increasing, how can traditional mentors provide guidance in other career paths, or how can those outside of academia mentor those training within it? What are the issues that students and Postdocs find most pressing regarding mentorship? How can FoR and other organizations provide guidance and advocacy for these students at the grassroots levels, and how can students and Postdocs themselves organize to provide such representation? Though potentially uncomfortable to talk about, the reality is that situations on both sides, both as mentee and mentor, can take a turn for the worst. This module will cover the basics of techniques such as Nonviolent Communication for preventing from situations from arising, as well as discuss ways in which students can seek help and protection when faced with difficult situations they find themselves seemingly alone in. Given the time, Peer Support Networks and Active Listening skills will also be discussed. 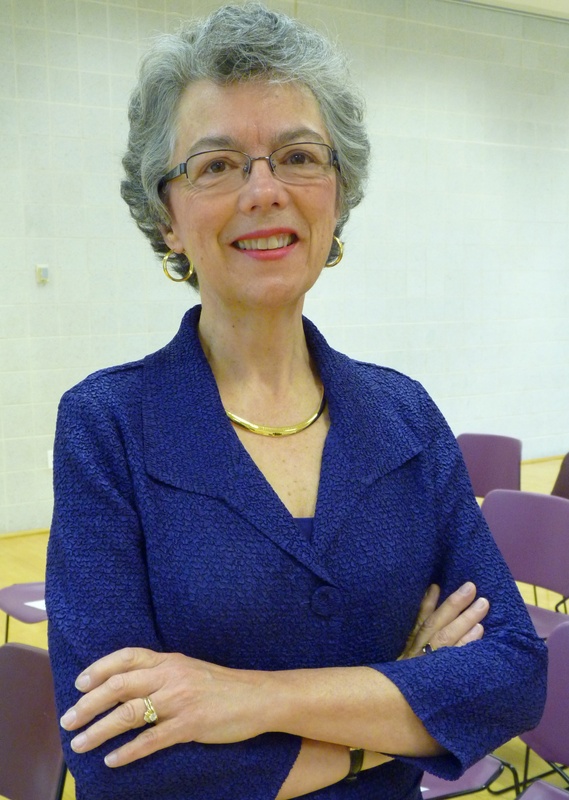 Sandra Crouse Quinn, PhD, is a Professor in the Department of Family Science, School of Public Health, Director of the doctoral program in Maternal and Child Health, and Senior Associate Director of the Maryland Center for Health Equity. She is a co-investigator on the Mentor Training Core of the National Research Mentor Network grant, funded by the NIH to increase the diversity of the biomedical research workforce. She is part of the team that is developing and testing a full day workshop on Culturally Aware Mentoring. Dr. Quinn is featured in two online videos about Culturally Aware Mentoring at http://sph.umd.edu/center/che/news-item/mentor-training-improve-diversity-science. She is currently Principal Investigator (joint with S. Thomas) for the Center of Excellence in Race, Ethnicity and Health Disparities Research (P20 MD006737, NIMHD). Within the COE, she is also the PI on a 5-year study, Uncovering and Addressing Cultural Beliefs behind Vaccine Racial Disparities. She is joint PI (w. David Broniatowski, George Washington University) on a NIGMS grant, Supplementing Survey-Based Analyses of Group Vaccination Narratives and Behaviors Using Social Media. She was the PI on a recently completed pilot study of Public Attitudes Toward Medical Countermeasures, funded through the FDA’s MD Center for Regulatory Science and Innovation. Additionally, she was the Principal Investigator on a grant from the US Food and Drug Administration entitled Investigating Factors Associated with Participation of Racial & Ethnic Minority Populations in FDA Regulated Research. Dr. Quinn was PI (with Dr. Thomas) of a prestigious Grand Opportunity (“GO”) grant sponsored by the Office of the Director, NIH, NIMHD, and the American Recovery and Reinvestment Act (ARRA) titled “Bioethics Research Infrastructure Initiative: Building Trust between Minorities and Researchers” (7RC2MD004766; 2009-2012). As the PI of a CDC funded study, Public Attitudes Toward H1N1 Influenza, she worked successfully on two national surveys on attitudes and behaviors during the H1N1 influenza pandemic, including the first study to examine public attitudes toward emergency use authorizations for drugs and vaccines. Her research interests include factors associated with vaccine acceptance in routine and emergency situations; racial disparities in vaccine uptake; crisis and emergency risk communication with a specific focus on minority populations; and engagement of minority and marginalized communities in research. 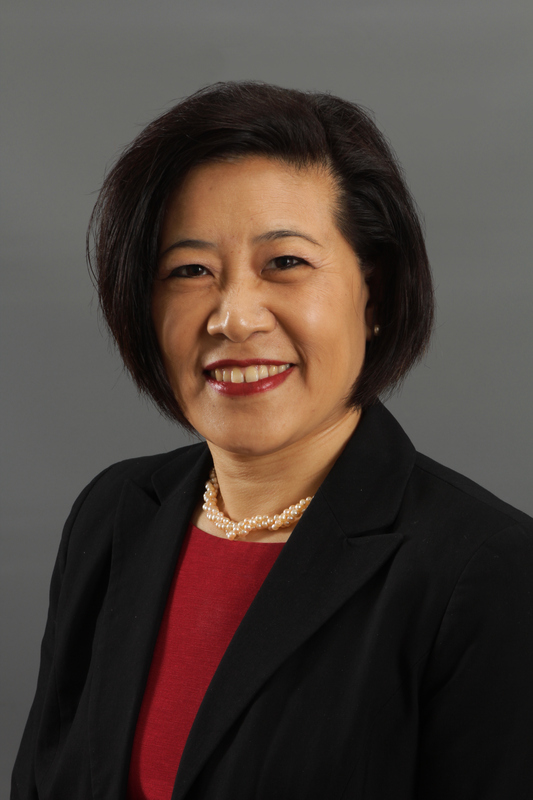 Dr. Belinda Lee Huang is principal of Celadon Leadership Consulting, specializing in developing emergent leaders. Dr. Huang’s research focuses on leadership and diversity at senior levels of academe, postdoctoral scholars’ services and outcomes, campus climate, retention and advancement of faculty of color, and disability and higher education. Recently, Dr. Huang was visiting assistant professor and doctoral program coordinator in the Higher Education Administration program at the Graduate School of Education and Human Development, George Washington University. Prior to this, Dr. Huang served as the executive director of the National Postdoctoral Association, managing operations, developing and promoting national policies and programming that benefited the postdoctoral community and the scientific research community. She has taught Asian American Studies at UC Berkeley, University of Pennsylvania and CSU East Bay, and led an undergraduate student affairs program at the Wharton School, University of Pennsylvania. Her publications include the Advancing Postdoc Women Guidebook, Women of color advancing to senior leadership in U.S. academe, and the National Postdoctoral Association institutional policy report 2014. Dr. Huang holds a PhD in Higher Education Administration, Education Policy from the University of Maryland, a Master’s degree in Student Personnel Administration from Teachers College, Columbia University and a Bachelor’s degree in Humanities from UC Berkeley. Dr. Meg Bentley is the Director of Biology Teaching Labs in the department of Biology at American University. She earned a PhD in Molecular Biology and Genetics at Northwestern University Medical School studying mechanisms of cell division in Drosophila melanogaster. 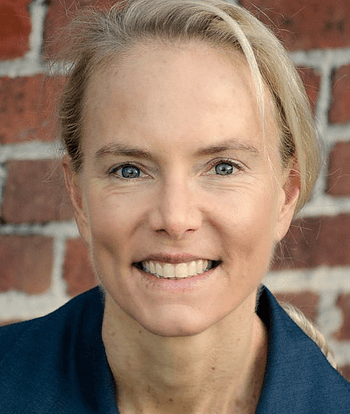 After completing a research post-doctoral fellowship in Cell Biology at Harvard Medical School she became a Curriculum Fellow for the Developmental and Regenerative Biology Graduate Program at Harvard Medical School, where she developed and taught in novel course formats. Dr. Bentley’s opportunities to be an adjunct faculty at Stevenson University and an outreach coordinator at Johns Hopkins were seminal to developing her interest in effective science teaching and encouraging broad participation in STEM fields. In her current position at American University, Dr. Bentley’s focus is developing student-centered curriculum in the laboratory and is the founding member of a faculty learning community on active learning and quantitative literacy in science. She is an associate member of the Education Committee of the American Society for Cell Biology. Dr. Bentley runs a program that encourages students to mentor in science labs and is currently developing a freshman seminar course on underrepresentation in STEM. Christopher L. Pickett, Ph.D. is the director of Rescuing Biomedical Research and conducts the day-to-day work of the organization. Prior to joining RBR, Chris was a policy analyst with the American Society for Biochemistry and Molecular Biology where he headed up the society’s efforts on improving the sustainability of the research enterprise. He published a paper in the Proceedings of the National Academy of Sciences on the topic and spearheaded the organization of a meeting to identify action items that would make significant reforms to the enterprise. 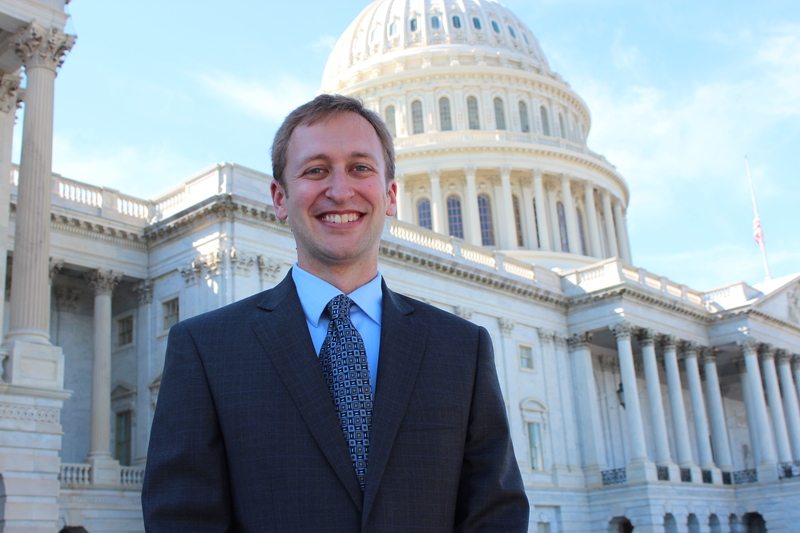 Chris got his start in science policy in 2012 as a fellow with the ASBMB, where he worked on legislative and regulatory issues affecting a variety of areas including research funding, portfolio management and training. Before the ASBMB, Chris was a postdoctoral scholar for five years at Washington University in St. Louis, and he received his Ph.D. in Oncological Sciences from the University of Utah in 2006. Dr. Andres De Los Reyes is an Associate Professor of Psychology at the University of Maryland at College Park. He serves as Director of the Comprehensive Assessment and Intervention Program (CAIP), a laboratory focused on improving our understanding of the inconsistent outcomes that commonly arise from multi-informant mental health assessments, with a focus on adolescent social anxiety and family functioning. Dr. De Los Reyes has published over 70 peer-reviewed articles in such journals as the Psychological Bulletin, Psychological Review, Journal of Abnormal Psychology, Psychological Assessment, and Annual Review of Clinical Psychology. He has received funding for his work from the National Institutes of Health and National Science Foundation. Dr. De Los Reyes is the current Editor-in-Chief of the Journal of Clinical Child and Adolescent Psychology, and previously served as Associate Editor for several journals, including Journal of Psychopathology and Behavioral Assessment, Journal of Child and Family Studies, and Journal of Early Adolescence. He has received a number of awards for his work, including the American Psychological Association’s (APA) Distinguished Scientific Award for an Early Career Contribution to Psychology, Society for Research in Child Development’s Early Career Research Contributions Award, Association for Behavioral and Cognitive Therapies’ President’s New Researcher Award, and Early Career Awards from Division 5 (Quantitative and Qualitative Methods) and Division 29 (Psychotherapy) of the APA. Chinonye “Chi-Chi” Nnakwe, Ph. 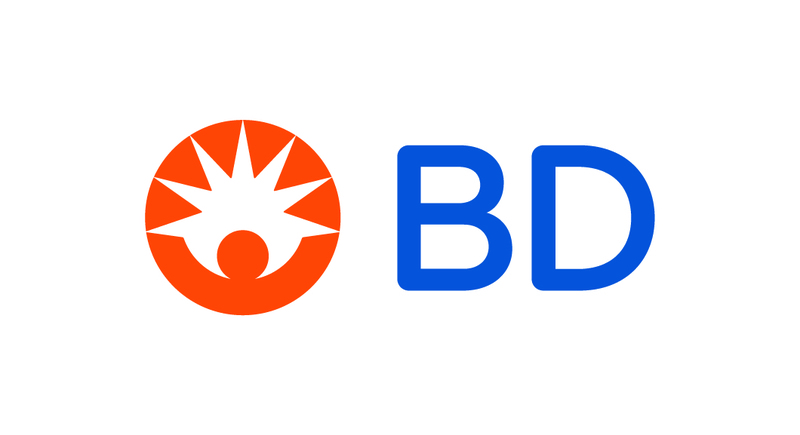 D. is a molecular biologist and studied DNA repair and DNA damage signaling pathways, which offer insights toward the molecular genetics of neuroscience, immunology and cancer biology. 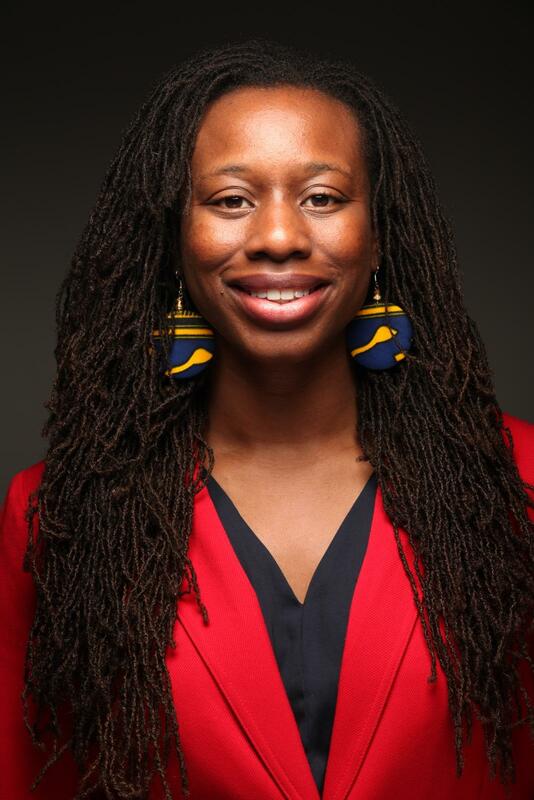 As an AAAS Science and Technology Fellow serving at the National Science Foundation (NSF), Dr. Nnakwe worked on agency-wide innovation policy programs to promote the translation of technologies from the lab bench to the marketplace. Currently, she is developing interventions to cultivate a National Innovation Network of I-Corps™ Mentors and is building initiatives within the I-Corps™ and SBIR programs to promote the inclusion of founders from underrepresented populations in tech entrepreneurship and entrepreneurship education. As she transitions from her fellowship, Dr. Nnakwe will continue to work within the field of science policy administration and technology commercialization within the federal government. After obtaining her doctoral degree, Dr. Nnakwe served as a management consultant for the health-care consulting company Campbell Alliance (now inVentiv), where she facilitated the launch and pricing of pharmaceutical products. Later, she was appointed the inaugural Director of Graduate Diversity Initiatives in the Provost’s Office at the University of Chicago where she led in-reach and out-reach programs to promote diversity in higher education and the research workforce. She fostered multi-institutional partnerships that led to initiatives like the SPINES Neuroscience Symposium with the Marine Biological Laboratory (MBL) and the National Research Mentoring Network-CIC Academic Network (NRMN-CAN) with the Big Ten Academic Alliance. Dr. Nnakwe obtained her B.S. in Biochemistry with departmental distinction from the University of Illinois at Urbana-Champaign and her Ph. D. in Pathology from the University of Chicago. During her academic career, Dr. Nnakwe was the recipient of a number of honors and scholarships that include the University of Illinois President’s Award and Tuition Scholarship, the honor of being a James Scholar. At the University of Chicago her doctoral research was funded by a Ruth L. Kirschstein National Research Service Pre-doctoral Award from the National Cancer Institute within the National Institutes of Health. This meeting is supported by an American Society for Cell Biology Early Career Meeting Grant and is a Genetics Society of America Career Development Symposium. Future of Research (FoR) is a nonprofit representing junior scientists, through grassroots advocacy, to promote positive systemic change to the way we do science. To achieve this, FoR stands by three pillars of engagement – advocating for increased investment in young scientists, increased transparency in the scientific enterprise, and increased connectivity between young and established scientists. We help junior scientists organize conferences to discuss how to create and sustain an optimal scientific enterprise. We then translate these promising solutions towards a reality, working with and advocating to institutions, science societies, federal agencies and senior scientists to effect change – and to ensure the voices of those who will be scientists of the future are heard. FoR wants to champion, engage and empower early career scientists with evidence-based resources to improve the scientific research endeavor. Labmosphere was founded a year ago as a blog, resource, and set of tools to advocate for mental health and life satisfaction in the academic sciences. After taking a course in Peer Support Training at the University of Oxford, graduate student Juan Pablo Ruiz began to notice the increase in pessimism regarding PhD’s, postdocs, and junior faculty with respect to their trajectories in science. After a follow-up online course in positive psychology, Juan Pablo realized that organizations worldwide are recognizing and acknowledging the data and evidence that happier, stress-free employees who feel motivated and valued are more productive and creative. Juan decided to found Labmosphere as a site where like-minded young scientists who cared about changing the culture of science could exchange ideas and advocate for better working cultures and systems. The site is open to all blog submissions, and has tools for people to share their anonymous stories, both good and bad, and thus find solidarity in what can be a stressful and difficult graduate school experience for those who find themselves in toxic lab environments. 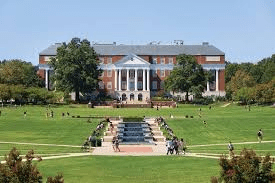 The UMD Graduate Student Government is a student organization that represents the 10,000 graduate students on the College Park campus, including Graduate Research and Teaching Assistants. GSG advocates for the support of graduate students throughout their academic career. As “peers in training” graduate students learn but also teach and perform research on this campus. Because of this it is vital to create a pipeline of leadership and core competencies around mentorship within the graduate population. OPA was established in May 2016 to provide the University’s postdoctoral community with information, training, mentoring, and services in support of career development. In collaboration with other various units across campus, OPA creates programming and informational resources as it relates to postdoctoral education, mentorship, professional development and networking support activities for the community. Additionally the OPA Program Director provides advice for incoming and current postdoctoral researchers, departments, and faculty on university postdoctoral policies and resources. OPA also works with the National Postdoctoral Association, National Research Mentoring Network, and Big Ten Academic Alliance to keep current on national and discipline trends, compliance, regulations, guidelines and to expand our postdoctoral researchers’ opportunities across the country.